25 September 2017. 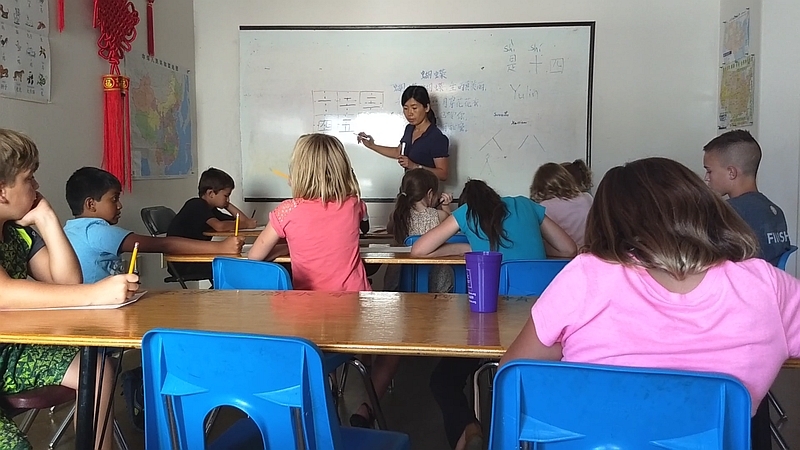 Our new teacher for Mandarin Chinese, Yulin Zhang, has been on the job now for 6 weeks. She and the students are thriving. Here she’s teaching the students to write the characters for the numbers 1-12. They’re learning conversational Chinese along with formal grammar, reading characters and pinyin, and writing.